Some poker players are fearful, to the point of paranoia, of being bluffed. Don't be one of them. Bluffing was invented long before poker. It is simply conveying more strength than you actually have, and it has existed in nature, business, and warfare for millennia. Poker just happened to wrap itself around bluffing as a core value. There's something about bluffing that makes people focus on this aspect of the game more than its actual use. Poker novices are fascinated with the idea that they can bet a lot of chips when they have nothing. I'll never forget a practice hand I watched during a class I was teaching. A woman made an all-in bet (with a predictably strong hand) and her opponent snap-called with 7-high. "Why did you do that?" I asked, in the most noncommittal Socratic voice I could manage. I also find that students are fearful, to the point of paranoia, of being bluffed. Whenever I describe a scenario where they need to fold, they ask, "But what if he's bluffing?" I was discussing this behavior with a poker buddy who is also a practicing psychiatrist. She attributed it to a "fear of loss." I would interpret that, in this context, to mean losing a pot which the caller feels is "rightfully" theirs. 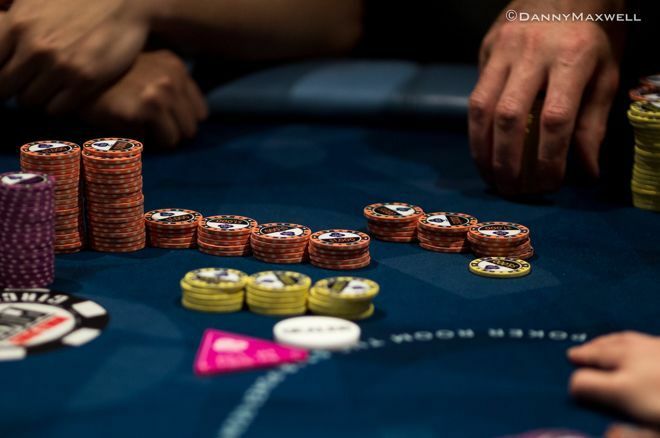 From the other side of the table, the majority of poker players don't bluff as much as they "should." I use "should" to mean, "The bettor is bluffing with a frequency that the caller can't exploit by folding or calling all the time." Few players do it perfectly, but the good ones come close. Interpreting my shrink friend's perspective here, bluffing will occasionally cause you to lose extra chips. If you never bluff, you will never lose bluffing chips. So in many players' utility model, the fear of losing the bluffing chips is greater than the joy of potentially winning an "undeserved" pot. Such people are playing to lose less rather than win more. As my friend said, "Fear of loss is a powerful force." So what are the direct implications for your poker game? With few exceptions, particularly in low stakes games, your opponents are not bluffing as much as game theory would indicate. The theoretical implication of this is that you should never call if you can't beat the hand they're representing. Very specifically, you should not say, "Oh, I don't have blockers to his likely bluffs, so I call." While your lack of blockers may increase the probability that they're bluffing, it is not a point on which you can pivot a call/fold decision. Only if your opponent is bluffing with the correct theoretical frequency should you be searching for such clues on the margins of the situation. Until you have evidence to the contrary, assume that big bets (particularly on later streets) are the truth, and fold. Just a couple of days ago in a $2/$3 no-limit hold'em game, I rivered the nut flush and bet $100 into a $65 pot. My opponent, who had spent the prior hour talking about various bluffs one might run, snap-called and turned up top pair. I quietly tabled my flush. As the dealer pushed me the pot, my victim said, "I thought you were representing the flush." I don't stack and chat, but the thought in my head was, "Yes, I was representing the flush. Because I had it." A corollary is to value bet when "common wisdom" would suggest that no worse hand will call. Using a familiar example from no-limit hold'em, you can often get three "streets of value" from top pair with top kicker or an overpair. You may find yourself amazed at the weak hands which call. Don't check the hand down just because you wouldn't call a third street; give your opponent a chance to catch your bluff. Another benefit to thin value betting: if your opponent just can't muster a call, that "fear of being bluffed" will fester inside him. Don't show him that you had the best hand — let him stew. Then count on your next river bet being called even lighter. It's hard to make a decent hand in hold'em. Once somebody has one, the idea that they might be bluffed off it is too much to bear. They won't be paying attention to your messaging that they're beaten and they didn't wait this long for top-pair-king-kicker to fold it. I'm aware that this thesis ("They're not bluffing as much as you think they are") is contrary to much of what you see in poker media. People are justifiably fascinated with the game theoretical aspects of poker. Indeed, the wizards are making discoveries that were unknowable just ten years ago. But those discoveries, and the strategies derived from them, are only useful against knowledgeable opponents. If you make calls based on the assumption that your opponent is bluffing 30 percent of the time when he is bluffing more like 10 percent of the time, you are losing money. Please continue to read and learn what the wizards are teaching us. But remember that poker will not forgive advanced strategies against basic opponents. If you want to learn when to bluff and when not to bluff, or any other aspect of poker strategy, check out Lee's coaching page at leejones.com/coaching. Get a free consultation and find out if his coaching is right for you.